A first look at April’s Glee episodes! Thanks to Entertainment Tonight, we finally have our first look at April’s Glee episodes! My apologies for the less than stellar video quality, and if anyone finds a better version, please let me know! Thanks, Michelle, for this new version of the video in much better quality! I’ll keep this post spoiler-free, but if you want to discuss any of the awesome things we saw in this video, head on over to the comments! 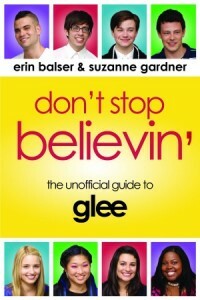 OMG… Sue wears like madonna..
Finn and the Cheerios, definetly he’s rebounding after Queen. Hey! I found a better quality of the vid! Fabricio: Thanks for your comments all the way from Ecuador! I agree that it’s an amazing clip with lots to be excited about! Michelle: Thanks for the better quality vid! I’ve switched it in the post. And YES, that video is super adorable!